- All photos on this page by Jim Mason The Kansas Landscape Arboretum lies just south of Wakefield on the west side of Milford Reservoir. Over 1,000 species of native and exotic woody plants adapted to the Kansas environment are found here. The Arboretum is open daily from 8 A.M. to dusk, March 1 to October 31. Stop at the kiosk off the Utah street entrance for a brochure. Much of the area is left in native vegetation, and foot trails provide easy access to both prairie and woodland habitats. Although the area is managed for plant life, wildlife can also be found. Deer are often spooked from the wooded areas during the middle of the day. Nest boxes for eastern bluebirds have been erected to enhance viewing opportunities. The woods attract Harris' sparrows, northern cardinals, blue jays, and several species of woodpeckers. Approach the pond on the Bird Sanctuary Trail cautiously for an opportunity to spot wood ducks, widgeon or green herons. From the arboretum, Milford Reservoir is visible to the east. the creek feeding the pond. The causeway over the north end of the reservoir, just east of Wakefield, is one of the area's best sites for wildlife viewing. Clay County Park, on the west end of the causeway, is a good place to park while scanning the area for birds. In winter, as many as 50 bald eagles have been seen. Flocks of white pelicans are common during spring and fall. Ducks, geese, cormorants, grebes, herons, gulls, and shorebirds are also abundant during migrations. 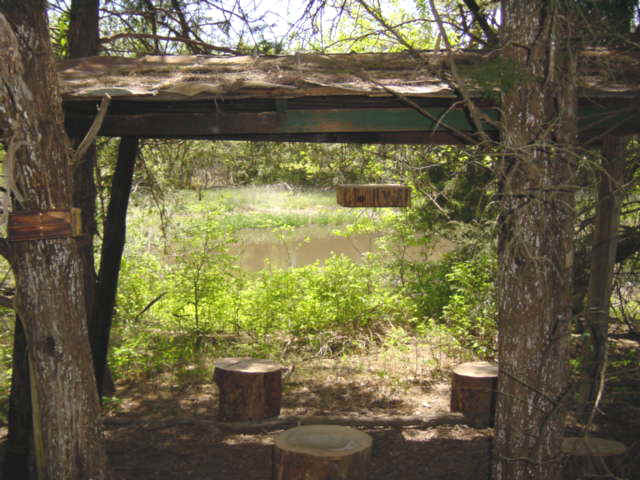 There is a picnic area by the Schroeder Garden near the caretaker's house (east side of Utah Road south of 5th street). There are four short trails on the Arboretum. 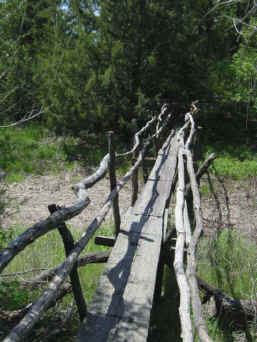 At 1 mile, the Woodland Trail is the longest. The Bird Sanctuary Trail circles a small pond. The Meadow Willow Trail follows a riparian corridor and the Wild Acres Trail circles a prairie meadow. Click the icon to find a birding list for Clay County. Directions: From K-82 in Wakefield, turn south on Dogwood Street. Follow the signs about 1 mile to the Utah Road entrance. Click here for the Corps of Engineers web page for the Arboretum. It has a very detailed map. Clay County Park lies on the east edge of Wakefield just west of the bridge over Milford Reservoir. Click here for a Google Map of this site.